Straight out of acting school he landed a starring role in the major Danish feature Itsi Bitsi and a place of honour as Shooting Star in Berlin. Things are moving quickly for Joachim Fjelstrup. Indeed, the 27-year-old rising star is an actor who knows what he can do and what he wants with his craft. “So far, just taking what I’ve been offered and doing my best with it has worked out pretty well for me,” Joachim Fjelstrup says. It’s hard to argue with that. The 27-year-old Copenhagen native has appeared in two features and two shorts and has been chosen as the Danish Shooting Star at this year’s Berlin Film Festival, arguably the film industry’s greatest recognition for a young actor. 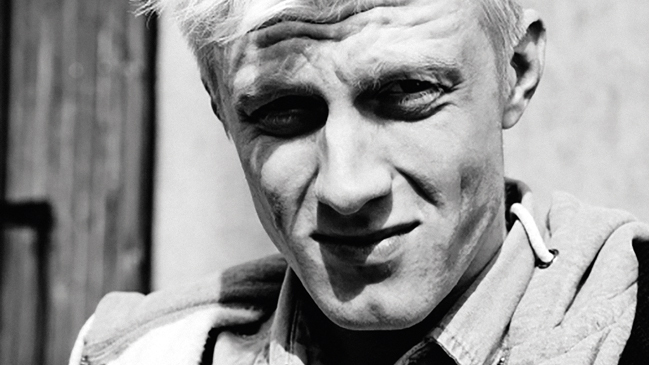 What opened the Shooting Star jury’s eyes to the Danish actor was the dramatic feature Itsi Bitsi. 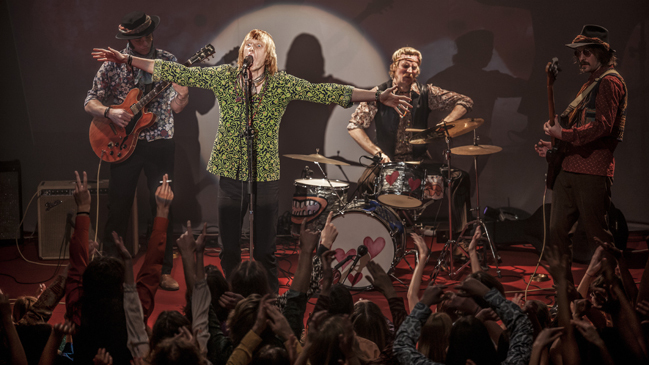 In the film, which world premiered at last year’s Toronto Film Festival, Fjelstrup reincarnates the Danish rock singer Eik Skaløe of Steppeulvene. The band’s single album, Hip, was released in 1967 and since became a classic, largely thanks to Skaløe’s freewheeling lyrics and grating, Bob Dylan-inspired delivery. Shortly after Hip was released, Skaløe left for Nepal and in October 1968 he was found dead, 25 years old, on the border between India and Pakistan. A note found on his body read, “For the officials: As I guess you know – this suicide is decided & carried out by myself. No one is to blame, except the cruel person inside me. Forgive me, Eik Skaløe.” The dramatic circumstances surrounding his death made Skaløe the beatnik an instant icon of Danish rock. Call it luck. But the young star of Itsi Bitsi is more than just lucky. From scene one, Fjelstrup has the presence and scope of the young poet who dreams of changing the world and setting himself free but also has a very hard time tearing himself away from his unhappy love affair with his soul mate, Iben Nagel Rasmussen, the Itsi Bitsi of the title. Skaløe was at once a searching young man and a mature thinker, and Fjelstrup nails this balance between vulnerability and strength with surprising authority in his first screen role. Actually, saying Fjelstrup looks like Skaløe is a bit of a stretch. As Itsi Bitsi director Ole Christian Madsen points out, Skaløe was 163 centimetres short, while Fjelstrup towers at 193. Madsen only picked Fjelstrup after extended periods of working with three to four other potential Eiks. “We always knew that Joachim was a qualified candidate, but it was only when Joachim underwent a physical transformation along the way that we knew he was the one. I have never worked withan actor who prepared so thoroughly for a role,” says Madsen, who has directed great Danish stars like Mads Mikkelsen, Paprika Steen and Anders W. Berthelsen. Madsen mentions that the already slim Fjelstrup lost 7 kilos to play the emaciated Skaløe at the end of the film. Still, Fjelstrup wasn’t sure that he had lost enough weight. Roni Ezra’s April 9th, about the day in 1940 when Nazi Germany invaded Denmark, has Fjelstrup in a supporting role as a Danish soldier who fights back. A blessed smile spreads across Fjelstrup’s face. Joachim Fjelstrup is one of ten European actors and actresses to catch the spotlight at the Berlinale as Shooting Stars 2015, an initiative launched by European Film Promotion offering young acting talents a unique platform to meet the industry and a dedicated audience. Actor, born 1987. After graduating from the Danish National School of Performing Arts in 2013, Joachim Fjelstrup went straight on to make his screen debut in Ole Christian Madsen’s Itsi Bitsi (2014), which premiered at Toronto Film Festival. Fjelstrup is soon to appear opposite former Shooting Star Pilou Asbæk in Roni Ezra’s WWII drama April 9th, set for domestic release in March, as well as in two graduation films from the National Film School of Denmark.